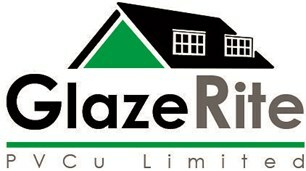 Glazerite PVCU Ltd - Fascia/Soffits/Guttering, Windows/Doors/Conservatories based in Burntwood, Staffordshire. Glazerite PVCU Ltd is a small family business based in Burntwood, Staffordshire. Having been in the industry for 20 years and dealt with all aspects of the trade we are confident that we can give a superior service from your first point of contact throughout the whole process to completion of your installation. Our small team of installers are quality tradesmen that take pride in their work so we can guarantee the quality of the end product. We don't cut corners, we don't rush jobs, we carry out all installations to the same high standards that we expect in our own homes. All our windows and doors are energy efficient with an energy "A" rating and carry a 10 year insurance backed guarantee. We carry out a full range of work including Replacement of windows, doors and conservatories, replacement of misted and broken units. Repairs to existing windows, doors, conservatories etc. Fascia, soffit and guttering. New build porches, canopies and conservatories. Thank you for viewing our profile and hopefully we'll speak soon!